*With approved credit. Estimated monthly payment based on $3,899 down, 72 months at 5.9% APR. Description Look at this 2017 Chevrolet Equinox LS. Its Automatic transmission and Gas I4 2.4/145 engine will keep you going. 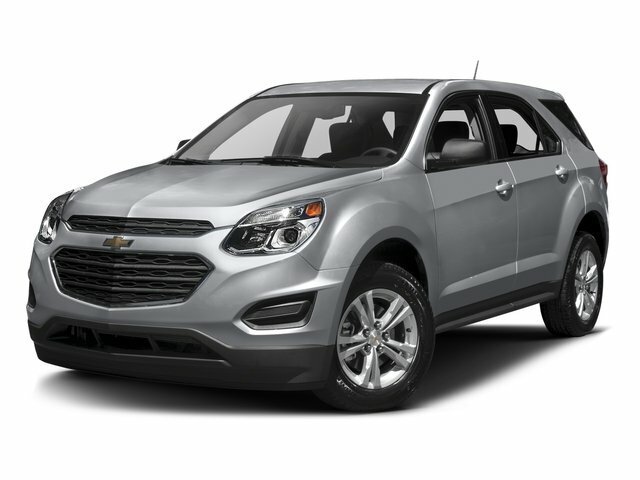 This Chevrolet Equinox comes equipped with these options: WHEELS, 17" (43.2 CM) ALUMINUM (STD), TRANSMISSION, 6-SPEED AUTOMATIC WITH OVERDRIVE (STD), SUMMIT WHITE, SEATS, DELUXE FRONT BUCKET (STD), LS PREFERRED EQUIPMENT GROUP Includes Standard Equipment, LPO, WHEEL LOCKS includes 4 locks and 1 key, LPO, CARGO AREA CLOSE-OUT PANEL, JET BLACK, PREMIUM CLOTH SEAT TRIM, ENGINE, 2.4L DOHC 4-CYLINDER SIDI (SPARK IGNITION DIRECT INJECTION) with VVT (Variable Valve Timing) (182 hp [135.7 kW] @ 6700 rpm, 172 lb-ft [232.2 N-m] @ 4900 rpm) (STD), and E85 FLEXFUEL CAPABLE, FOR 2.4L DOHC 4-CYLINDER ENGINE.